This friendly B&B is ideal for short breaks, business trips, family holidays and offers self-catering facilities for families and groups. All rooms are tastefully furnished and en-suite, with TV, hairdryer and tea & coffee making facilities provided. 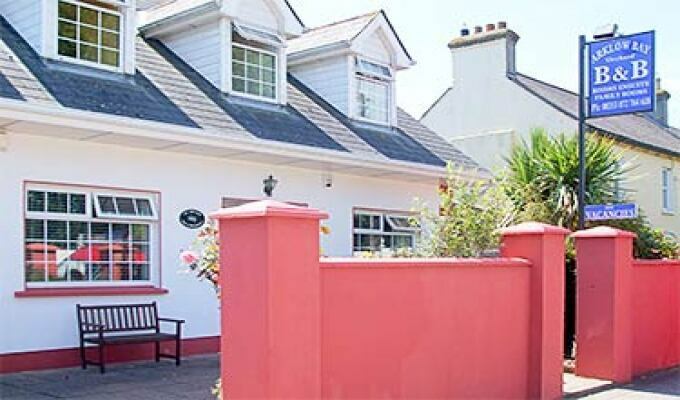 Enjoy a freshly home cooked breakfast in our bright and cheerful breakfast room or relax with a glass of wine in our private garden or use our home as a base for exploring the breath taking scenery of the Wicklow hills and Glendalough. If you prefer the hustle and bustle of city life we are just 40 miles from Dublin city with regular bus and train services daily. We got a warm welcome and all necessary informaton for the breakfast the next day plus a lot of information on where to go for dinner. Here's the thing. You will see your room and think, Hmm, OK. not fancy. why does everyone give 5 stars Then you get talking with Pat. You take a great shower. You have an amazing breakfast. Pat gives you a map with recommendations of great routes and interesting sites. And you love this place. I would not recommend this B&B. The price was very high and the accomodations were very poor. the rooms were very cramped and unattractive. Bedding was clean, but the mattress was substandard. Numerous large spiders shared my room. This really gave me the creeps, and i couldn't wait to leave, my last night in Ireland.One good thing, there was a space heater which i used. The breakfast eating area was the most attractive area with much natural light. The windows were dirty, however.Breakfast was nothing special. Parking was very cramped.